Lame Duck Barack Obama has transferred out four more terrorists out of GITMO on his way out the door. Nineteen inmates have been transferred since Election Day. This now leaves 41 terrorists at the US military prison in Guantanamo Bay, Cuba. So in the end, thankfully, Obama was never able to close GITMO as he promised back in 2008. 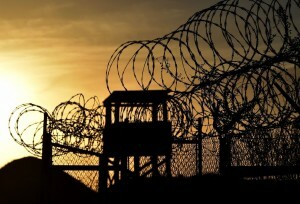 The Pentagon announced Thursday that four more inmates were transferred out of the US military prison in Guantanamo Bay, Cuba, marking the final such transfer under President Barack Obama and leaving the facility’s population at 41. Thursday’s transfer concludes the Obama administration’s final push to empty the facility as much as possible prior to Friday’s inauguration, with 19 inmates being transferred since Election Day. One of the inmates is going to Saudi Arabia and the other three are being taken in by the United Arab Emirates. 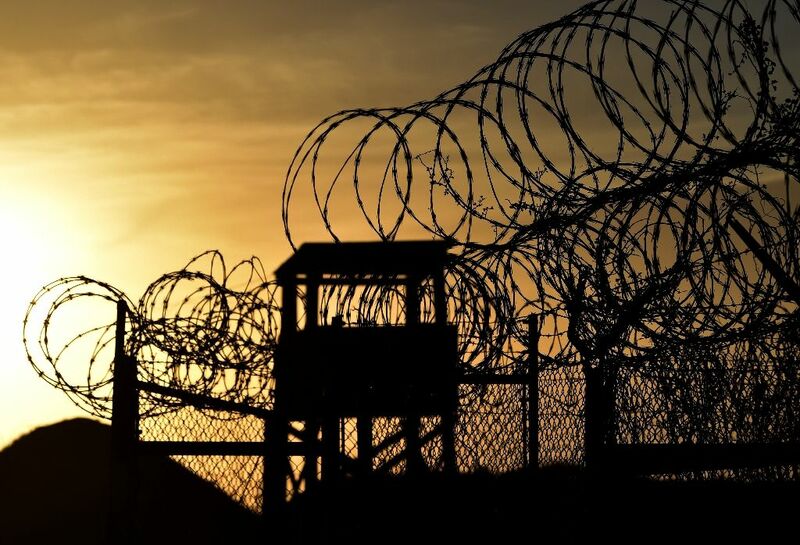 There were 242 detainees at Guantanamo when Obama came into office in January 2009 and he had pledged to close the controversial center within one year in an executive order he signed shortly after his own inauguration. But in recent days, administration officials have acknowledged that this goal was out of reach. “I don’t anticipate that we will succeed in that goal of closing the prison, but it’s not for a lack of trying — that, I assure you,” White House Press Secretary Josh Earnest told reporters Tuesday. Courtesy of Barack Hussein Obama and his catch and release program from GITMO comes the following report via Long War Journal of a former Guantanamo detainee, Ibrahim Qosi, who is also known as Sheikh Khubayb al Sudani. This former Guantanamo detainee, who was released in 2012 is now an al Qaeda leader in Yemen. Isn’t that special. Thanks Barack. Hmm, wasn’t it Barack Obama’s premise that GITMO was used as a recruiting tool by terrorists? It would more seem that Obama’s rush to close GITMO and send terrorists back to their countries of origin is more of a recruiting tool. 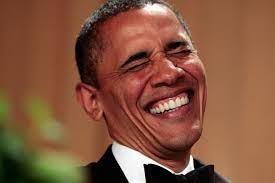 Hey America, How’s that Obama “hopey, changey” stuff of letting terrorists out of GITMO working out for you America? Al Qaeda in the Arabian Peninsula (AQAP) released a new video featuring a former Guantanamo detainee, Ibrahim Qosi, who is also known as Sheikh Khubayb al Sudani. In July 2010, Qosi plead guilty to charges of conspiracy and material support for terrorism before a military commission. His plea was part of a deal in which he agreed to cooperate with prosecutors during his remaining time in US custody. Qosi was transferred to his home country of Sudan two years later, in July 2012. Islamic scholars ensure the “correctness” of the “jihadist project,” according to Qosi. And the war against America continues through “individual jihad,” which al Qaeda encourages from abroad.Here, Qosi referred to al Qaeda’s policy of encouraging attacks by individual adherents and smaller terror cells. Indeed, AQAP’s video celebrates jihadists who have acted in accordance with this call, such as the Kouachi brothers, who struck Charlie Hebdo’s offices in Paris earlier this year. The Kouachi brothers’ operation was sponsored by AQAP. A hardened Al Qaeda fighter who served as Usama bin Laden’s jack-of-all-trades before spending a decade at Guantanamo Bay made a military prosecutor’s prophecy come true when he resurfaced on the field of battle in Yemen, where he is one of the terror group’s top leaders. Ibrahim al-Qosi, a Sudanese native who once served as Usama bin Laden’s cook, chauffeur and bookkeeper, appears in the latest video released this week by Al Qaeda in the Arabian Peninsula (AQAP), some three years after he was released from the U.S. military facility. The 55-year-old Al-Qosi is one of the Al Qaeda chapter’s top men, according to the Foundation For Defense of Democracies’ Long War Journal blog. Sgt. Bowe Bergdah Charged with Desertion … Tell us something everyone did not already know prior to his release. Sgt. Bowe Bergdahl, the U.S. soldier who was recovered in Afghanistan last spring after five years in captivity, has been charged with desertion and misbehaving before the enemy. As reported in Stars and Stripes, Bergdahl is charged with one count of Article 85 and one count of Article 99 under the Uniform Code of Military Justice. Much of the back-story that Bergdahl was a deserter was known at the time ahead of the deal made for his release. However, Barack Obama has obviously never met a military deserter he did not like. This is the same man that Barack Obama had a Rose Garden ceremony with his parents announcing his release. GOOD GRIEF. Bowe Bergdah, a deserter, a man who deserted his fellow soldiers, was exchanged for 5 top Taliban GTITMO detainees. Compounding this terrible Obama deal to trade an army deserter for 5 top Taliban GITMO detainees, Fox News is reporting that at least three of the five Taliban leaders traded last year for Bergdahl have tried to plug back into their old terror networks. Sgt. Bowe Bergdahl, the U.S. soldier who was recovered in Afghanistan last spring after five years in captivity, has been charged with desertion and misbehaving before the enemy, Army officials said Wednesday, setting the stage for emotionally charged court proceedings in coming months. Eugene Fidell, Bergdahl’s attorney, told The Washington Post that his client was handed a charge sheet Wednesday. Army officials said in a statement that Bergdahl has been charged with desertion with intent to shirk important or hazardous duty and misbehavior before the enemy by endangering the safety of a command, unit or place. His case has been referred to an Article 32 preliminary hearing, which is frequently compared to a grand jury proceeding in civilian court. The court hearing for Bergdahl, 28, will be held at Joint Base San Antonio-Fort Sam Houston in Texas, where Bergdahl has served since shortly after his recovery on May 31, 2014. Under the misbehavior-before-the-enemy charge, Bergdahl faces a maximum punishment of confinement for life, a dishonorable discharge, a reduction to private and total forfeiture of pay and allowances since the time of his disappearance, Army officials said. The desertion charge carries a maximum punishment of five years in prison, a dishonorable discharge, a reduction to private and a total forfeiture of pay and allowances. Let’s not beat around the bush, the deal for Bowe Bergdahl was made by Obama for one reason and one reason only, to empty GITMO. Barack Obama cared more about emptying GITMO than he ever cared about the fact that Bowe Bergdah was a deserter. Or the fact that he put his fellow soldiers in harms way. Obama could have cared less. This is what a community agitator does. This is what a liberal ideologue does. This is what an individual does who has nothjing but contemt for the United States military. And sadly, this is what passes as a Commander in Chief today. 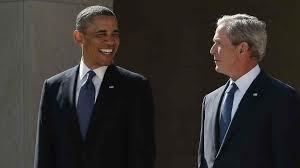 You should be ashamed America for electing and reelecting the worst president ever. Article 99 is “misbehavior before the enemy by endangering the safety of a command, unit or place.” It carries a maximum potential penalty of dishonorable discharge, reduction to the rank of private, total forfeiture of all pay and allowances, and life in prison. Remember when Barack Obama flunky Susan Rice said Bowe Bergdahl served with “honor and distinction.” But what else would you expect from an Obama minion, part of an administration that is against everything that the United States once stood for? Really, Bowe Bergdah served the United States with honor and distinction? UNREAL. I wonder what his fellow soldiers think think how he served? Or any other military person who is in harms way and serves this great nation putting their life on the line? Bowe Bergdah didn’t serve the United States with honor and distinction … he deserted his country. One way or another, whether it is in the best interest of United States security or not, Barack Obama will let all the detainees out of GITMO before he leaves the White House. 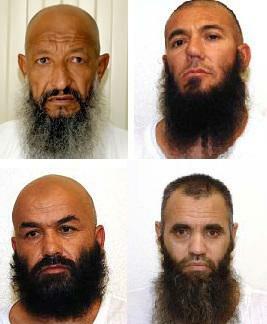 Obama’s latest efforts just released 4 detainees back to Afghanistan. Don’t worry though, it is not like 168 of the GITMO detainees released return to terrorist. Oh wait, they do. But what does Obama care. He is going to do anything he damn well pleases in his final years as president because we have gutless Republican leadership who stand for nothing and have the spine of a jellyfish. The Pentagon on Saturday announced that it had transferred four detainees from the Guantanamo Bay prison facility back to their home country of Afghanistan. The Defense Department said all four men had been “unanimously approved for transfer” by the president’s interagency Guantanamo Review Task Force, which examines the possible security ramifications of releasing prisoners from the facility. The transfers will bring the prison’s population down to 131, with 63 of the remaining detainees already cleared for removal. The president has made closing the controversial facility a top priority in the final years of his presidency, and summoned senior administration officials to the White House last month to complain about the pace of efforts to close the detention center. The meeting was seen largely as a message to Defense Secretary Chuck Hagel, who the White House believed was dragging his feet in signing off on guarantees that the five upcoming transferees did not pose a security threat, according to the wire service.. There’s speculation that Hagel’s resistance played a role in the president’s decision to remove the Pentagon chief, who announced his intention to resign last month. Obama stressed to the officials that he wanted action on efforts to shutter the controversial facility. The president pledged in his 2008 campaign that he would close the prison, and has come under fire from critics on the left for failing to achieve that goal.